Over the past 5 years return on investment of K Group’s advertising pricing strategies has averaged 30 times the consulting cost in year one! Prior to implementing the K Group Pricing strategy, our experience was that 30% to 35% of our retail advertisers increased their commitment year over year. With our new strategy we were able to increase commitment for about 75% of our retail advertisers. We achieved our budgeted revenue increase without a price increase by changing our price structure. W implemented K Group’s recommended pricing strategy in October of 2001. Based on an analysis of our internal data, we reaped $700,000 in incremental revenue on a base of $12 million in the first six months as a result of the pricing action. We implemented K Group’s pricing strategy for our local retail and automotive categories in January 2003. Through the first five months of 2003 we are up 9% over budget and continuing to show strong performance. In Richmond we had worked internally to change our very complicated and ineffective rate card for a number of months without success. Our local retail category was stagnant due in large part to our rate card - - only 2 in 10 advertisers increased their commitment with us each year. Most stayed flat. Advertiser counts were down and revenues had stagnated. Within four months of implementing the K Group rate card recommendations and training, we found that 55% of our advertisers had increased their commitment. At the six month milestone we found that our local advertisers were up 18.3% (versus a benchmark of 2.4%, advertiser count had increased by 169, local ad rates had increased by almost 4%. The paper looks better; readers are happier and advertising remains strong. After 18 months, we found that our small advertisers had achieved a shift in momentum with a monetized value of to RTD of $1.6 million (incremental revenue). 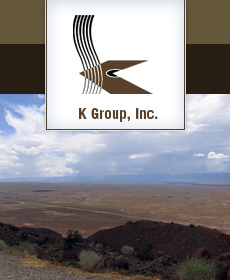 We implemented K Group’s new retail rate card in August 2002. Through first quarter 2003 we had increased commitments for our local retailers in 8 of 10 cases versus a benchmark in prior years of 4 of 10 advertisers increasing their commitment. The Impact Ad program was particularly successful in moving revenue and increasing ad size. It went really well! I created a monthly calendar with all the dates, including the BB (business builder) program in the spring- like (K Group) suggested. The client was extremely happy with the BB program and said there are probably (use it) 6-8 weeks during the year. He also liked the other programs and he will touch base with an annual plan pretty soon. . . . He said the $160K investment level made sense. It was extremely helpful going over this early with (K Group). We are doing well really with our small to mid-size accounts. The structure has given many customers the incentive they needed to sign contracts with us for the first time! I am hearing good things (from our customers) about the (new K Group Rate) structure. Enterprise (department) reports that they are having success in closing new business and I have heard of several within Regional Retail as well. Thanks for the great work, I know that it will help us achieve our revenue objectives this year and provide more value for our customers too.